As listeners, we tend to flock to the genres and sub-genres that we like because of the satisfying sameness. I love simple, stupid punk rock, and if a band sounds like they might have only ever listened to Venom, there’s a solid chance I won’t like them once they stop sounding exactly like Venom. That said, it’s awesome to hear bands who aren’t entirely what you expect. Inter Arma could be described as a sludge band—they definitely have the typically slow pace and thick riffs of the genre down—but calling them a sludge metal band would be a disservice. This band is firmly rooted in the muck and grime of sludge, but throughout Paradise Gallows, they aptly incorporate a vast variety of influences and styles. “Nomini” is a two-and-a-half-minute intro that sounds like it was ripped straight from John Dyer Baizley’s fingers with its stretched-out, echo-y guitars. When we jump into “An Archer in the Emptiness,” Inter Arma embrace their true heaviness with jackhammer drumming, sludgy riffs and sinister growls from Mike Paparo—think Torche minus all the bubblegum. TJ Childers’ drums are the thunderous glue that hold Inter Arma’s chaos together and constantly steal the show, even over the intensely wailing guitars near the end of the track. 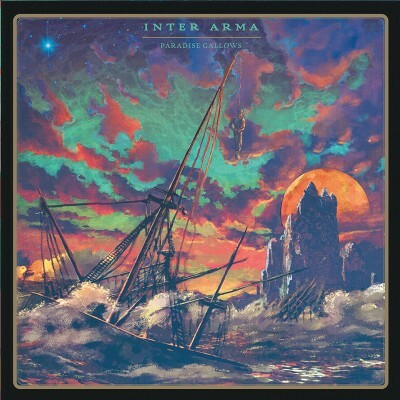 Inter Arma laugh in the face of brevity, with only two of the album’s nine tracks clocking in at under six minutes, and with three of them over the 10-minute mark. With songs so long, they are able to explore a wide soundscape, switching up tempos and transforming songs while maintaining a consistent thread. “Transfiguration” provides more of the sludgy goodness until the three-minute mark, when a Slayer-like squeal emits from one of the guitars, and Childers kicks into overdrive to convert it into a blackened ripper.